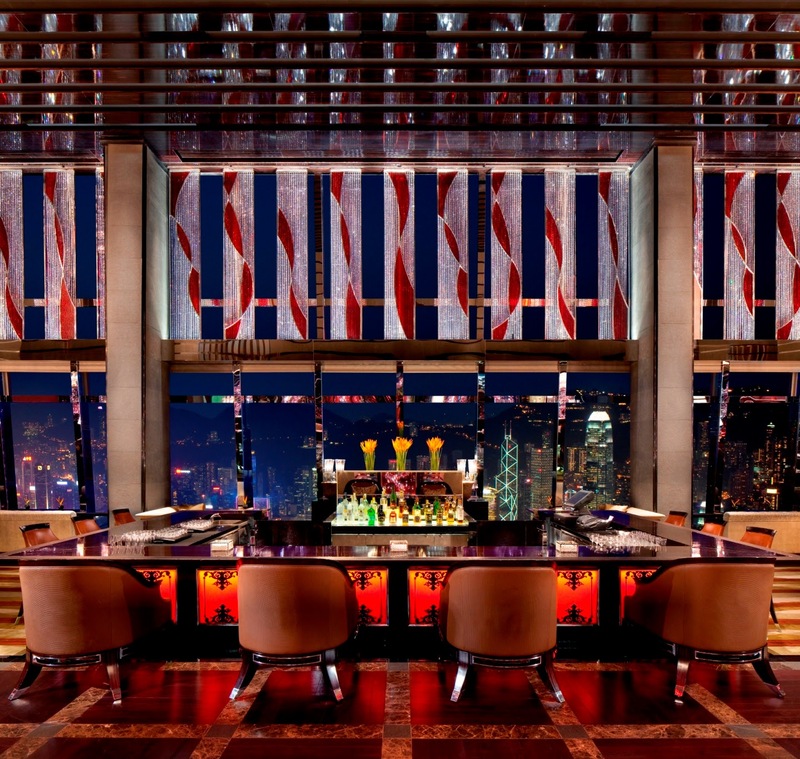 Diners at The Ritz-Carlton Hong Kong's Lounge & Bar on the 102nd floor of the ICC can now have both the angel and the devil sitting either side of their shoulders. That's because during the day there's a fantastic organic salad bar for HK$180 including a soup and dessert or HK$218 with an additional glass of fruity iced tea. 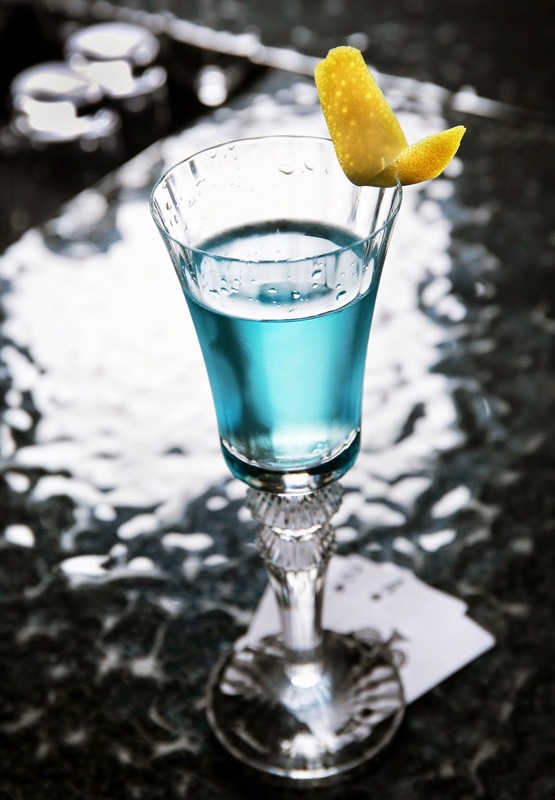 While by evening, the dining experience moves up on the classy scale by introducing the "Exclusive 12" where a dozen guests sitting at the bar can have their drinks specially prepared by award-winning mixologist Lewis Tsang and served in Baccarat glassware to celebrate the French crystal house's 250th anniversary. The salad bar is not like any typical spread -- here there are 10 different organic vegetables and greens including butter head lettuce, baby spinach, Italian lettuce, romaine and watercress, as well as beetroot, artichokes, fennel, and asparagus. The salads can then be topped with sunflower seeds, walnuts, macadamia nuts, cashews and quinoa too. Take your green combination to the counter where you can choose from premade dressings that include roast sesame (yum), or ask the chef there to create a light dressing of virgin olive oil and a selection of fruit-flavoured vinegars. On the day we went the soup of the day was roast pumpkin and was delicious to the last drop accompanied with healthy breads too, including a German one covered in flax seeds. If that isn't healthy, I don't know what is. 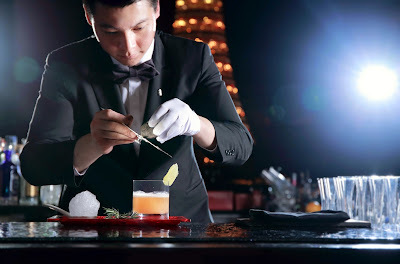 As for the "Exclusive 12" experience, "Cocktails in Baccarat" include classics like the Vesper Martini (London No 1 Gin, Ketel One Vodka and Americano Cocchi), Snow Finch (sherry, lychee, elderflower and Champagne), and Mr. Song (Premium Whisky, lemon, elderflower, black truffle, egg white, ginger and bitter). Tsang has also concocted some new interpretations on drinks like Mai Tai, Americano, Sazerac and Margarita. There's also Champagne cocktails and martini ones too, and Tsang will entertain requests. And what to pair with those drinks? The bar snack menu features such gourmet treats as Balik salmon, duck foie gras terrine, Wagyu beef skewers, lobster cocktail and Iberico ham. 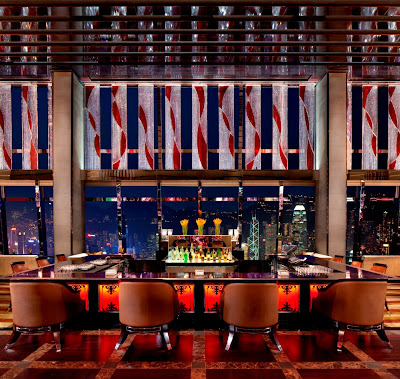 Your next visit to Lounge & Bar will be surely be a sophisticated affair, drinking premium cocktails from Baccarat glasses and looking down on a million-dollar view (provided it's a clear evening...). So are you an Angel or a Devil, or both?